Invited speakers from academia, NGOs, and the private sector presented different perspectives, stories from the field, reflected on lessons learnt. This was captured as Visual Minutes (above) and set the stage for further interactive and applied sessions in subsequent days of the symposium. Presentations and panel discussions were divided into the following three consecutively themed sessions (click each title for further details) and can be watched here. In recent years, there has been increasing recognition of the value of applying behavioural science for conservation goals. Approaches from fields such as social marketing, Social and Behavioural Change Communications (SBCC) and behavioural economics, are now being considered alongside those from private sector media, marketing and advertising, as valid tactics to employ, in tackling markets for illegal wildlife products, or promoting responsible consumption and markets for sustainably traded products. Gayle’s talk will explore some of the evidence, experience and examples relevant to this, as well as success factors, lessons learned and insights arising. Gayle will also introduce some of the Tools, reference materials and interactive ‘services’ available to members of the SBCC ‘Community of Practice’ convened by TRAFFIC, which includes 200+ of those with a stake, passion, interest or mandate in influencing wildlife product purchasing preferences and buyer behaviour. Aspects of her talk will also introduce topics that form a focus for the ‘Expert Roundtable on Impact Measurement’, and ‘Changing Business Sector Behaviour workshop’, in subsequent days of the Symposium. Steve is the Executive Director of TRAFFIC, the wildlife trade-monitoring network, which is a UK-registered charity and a collaboration between WWF and IUCN. Working for IUCN and TRAFFIC since the mid-1980s, he has diverse experience in trade research, regulation support, policy, training and facilitation work and was TRAFFIC’s regional director for the ASEAN region, based in Malaysia in the mid-1990s, before taking up his current post in 1996. He is now responsible for TRAFFIC’s global operations as a strategic alliance of WWF and IUCN, and leads a team of over 120 staff based in 30 countries world-wide. He has a BSc in Environmental Studies and is a member of the IUCN Species Survival Commission, a Fellow of WWF UK, Chair of the Executive Board of the FairWild Foundation and Deputy Chair of the Global Agenda Council on Illicit Trade of the World Economic Forum. He alsos serve as an advisor to the Pew Marine Fellowship Program and the Whitley Awards for Nature Conservation. Qualitative anthropological methods enable open-ended exploration of cultural values and preferences of wildlife products. Ranging from guided walks to key informant in-depth interviews and participant observation, qualitative methods compliment standardised and quantitative approaches to better understand complex human motivations and preferences for multiple actors. These approaches can help the researcher understand how traditions and values drive decisions to use different animal products for various medicinal, status, in-group membership or other reasons, which may not become apparent or fully understood through standardised quantitative approaches alone. Some key things to consider when planning and developing a qualitative research approach include: In what places and through which methods could you talk to illegal wildlife users or sellers? Who are the key influencers to talk to in this trade? Who should ask the research questions? How can you elicit and gage honesty of responses about people’s opinions and behaviours? Examples are provided from the bushmeat trade in Central Africa and the bear bile trade in Southeast Asia. 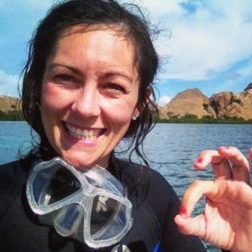 Elizabeth Davies earned her bachelor’s degree in Zoology from the University of St. Andrews, in Scotland, and is currently studying for her doctorate in Anthropology at the University of Bristol. 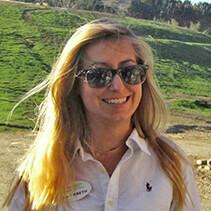 She serves San Diego Zoo Global as a strategic consultant for Community Engagement. Working in Cambodia and Lao PDR with SDZG’s partners Free the Bears, Elizabeth is part of a team that aims to halt the decline of bears throughout Asia resulting from the trade in bear bile and bear parts for traditional medicine and other purposes. Specific goals of this work are to understand which groups are buying bear bile and other bear parts, why these groups are using bear parts, and how we may open lines of communication with these groups to begin effective education and reduction campaigns. NOTE: Elizabeth Davies is standing in for Shannon Randolph, who was the advertised speaker, as she is no longer able to attend due to extenuating circumstances. Dr Joss Wright is Co-Director of the Oxford Martin Programme on the Illegal Wildlife Trade as well as Research Fellow at the Oxford Internet Institute, University of Oxford, where his research focuses on the measurement and analysis of internet censorship, and on the design of privacy enhancing technologies. More broadly, Joss’ work focuses on interdisciplinary approaches to the measurement and analysis of technologies that exert, subvert, or resist control over information. He has a particular interest in bridging the gaps between technically-focused analyses of security and privacy technologies, and their broader social and political implications. In addition to his work on censorship and privacy enhancing technologies, Joss has also provided advice to the European Commission, as well as a number of EU research projects, on the social, legal and ethical impacts of security technologies. He has written on privacy, social media and online activism for the Guardian and Observer newspapers, amongst others, and his work on measuring internet censorship has been featured in New Scientist magazine. He has also advised the UK Parliamentary Science and Technology Committee on the implications of surveillance legislation. With rapid global expansion of fishing and trade in recent decades, coupled with conservative life history strategies making them particularly vulnerable to overfishing, sharks and rays are now one of the most threatened species groups in the world. Indonesia is at the heart of the coral triangle: the global centre of marine biodiversity. It is also the world’s largest shark fishery. For these reasons, Indonesia has been identified as a global geographic priority for conserving sharks and rays, including several species recently listed on CITES Appendix II. There is considerable momentum within Indonesia to improve conservation and management of sharks and rays, and The Wildlife Conservation Society is currently developing a cross-cutting program of work, which seeks to address the overexploitation of sharks and rays with multi-faceted interventions from point of supply to point of demand. However, implementing practical conservation measures in a country as large, diverse and under-resourced as Indonesia is incredibly challenging. This presentation explores findings from WCS Indonesia’s applied research and practical experiences to illustrate the complexity of shark conservation and the need for multi-faceted approaches that go beyond CITES listings and legality. Hollie is a conservation scientist and practitioner, with experience working and researching a range of conservation issues, including: wildlife trade in Indonesia, protected area management and anti-poaching in East Africa, community-based tourism in Ethiopia and international environmental policy at UNEP-WCMC in Cambridge. She completed an undergraduate degree in Natural Sciences and Management Studies at the University of Cambridge and an MSc in Conservation Science at Imperial College London. Currently, she is working as the Wildlife Conservation Society’s Sharks and Rays Advisor for the SE Asia Archipelago, supporting WCS programs in the region to develop and implement a cross-cutting program of work to address overexploitation of sharks and rays. This requires a multi-faceted approach with interventions at various levels of the shark and ray trade chain, from point of exploitation to point of consumption. Her research interests include wildlife trade chains, social research methods for designing effective conservation interventions, monitoring the impact of conservation interventions, and the links between biodiversity conservation and human well being. In her spare time, Hollie enjoys exploring the natural wonders of SE Asia, reading dystopian novels, championing feminism, and being distinctly mediocre at lots of different sports. Michael ‘t Sas-Rolfes is a doctoral researcher at the University of Oxford and a fellow of the Oxford Martin Programme on Illegal Wildlife Trade. His earlier academic background includes a Bachelors in Business Economics and two MSc degrees, in Environmental Resource Economics (UCL) and Biodiversity Conservation and Management (Oxford). He has specialist knowledge of the application of economic analysis and business principles to the biodiversity conservation sector, and has conducted detailed work and analysis on wildlife trade issues (especially relating to rhinos, big cats, elephants and bears) for more than two decades. He has also worked on innovative approaches to financing and managing both public and private protected areas, especially in his home country of South Africa. Michael serves on two IUCN specialist groups, namely the Sustainable Use and Livelihoods Group (SULi) and the Species Survival Commission’s African Rhino Specialist Group. Siamese rosewood (Dalbergia cochinchinensis) is a type of ‘precious wood’ targeted specially for the ‘hongmu’ market, a trade which has exploited several species of Dalbergia, Pterocarpus, and Machaerius genera, globally. Through monitoring and recording online media news reports, a seizure database was created and analysed to explore the temporal and spatial trends of the Siamese rosewood trade in Thailand. Thailand, both a source and transit country, it is an excellent case-study to examine the crucial initial stages of the trade. Within the larger landscape of Southeast Asia, we trace trade of two hongmu species found in the region, namely, Burmese rosewood (Dalbergia bariensis) and Burmese paduak (Pterocarpus spp. ), both of which are increasingly traded to substitute the decline of Siamese rosewood. One key factor contributing to the persistence of the illegal trade is the difficulty in identifying and tracing processed timber products. This has resulted in loopholes for illegal traders to misidentify timber products and substitute them into legal channels. This presentation further outlines the incongruent regulations and protection for rosewood species at the domestic and regional levels. The approach of compiling seizure data through media demonstrates a novel and topical approach to better understand and address the complex issues of the illegal trade of wildlife species. Penthai Siriwat is an early career researcher conducting her PhD at Oxford Brookes University on the illegal wildlife trade in Thailand. Previously, she completed her undergraduate degree in Biological Sciences and a research post-graduate degree in Biodiversity Evolution and Conservation at University College London, where she also carried out research projects at the Institute of Zoology and at the Centre for Biodiversity and Environmental Research. During her time at Freeland Foundation in Bangkok, she worked on projects with a focus on the development of protected areas, specifically, the World Heritage site of Dong-Phayayen Khao-Yai forest complex. Other projects Penthai has been involved in include law enforcement training, community outreach programmes, environmental monitoring and social awareness campaigns addressing issues the exotic pet trade and the use wild animals as photo props in tourist areas. Wild plants are used in products consumed daily around the world, including food, medicines and cosmetics, often as ‘hidden ingredients’ that consumers and companies are unaware of due to the complexity of trade chains. This trade contributes to the livelihoods of millions of people, but many of the plant species used are under pressure from unsustainable harvesting and all too often the economic benefits are inequitably shared. Best practices for verifying wild collection sustainability are available, for example the FairWild Standard. Its implementation as a certification scheme (in India, Zimbabwe, Kazakhstan, Poland among others), as well as the best practice by industry (for example with the traditional Chinese medicine manufacturers and traders), and for policy frameworks by governments provide lessons learnt around the impacts of this work on trade chains. 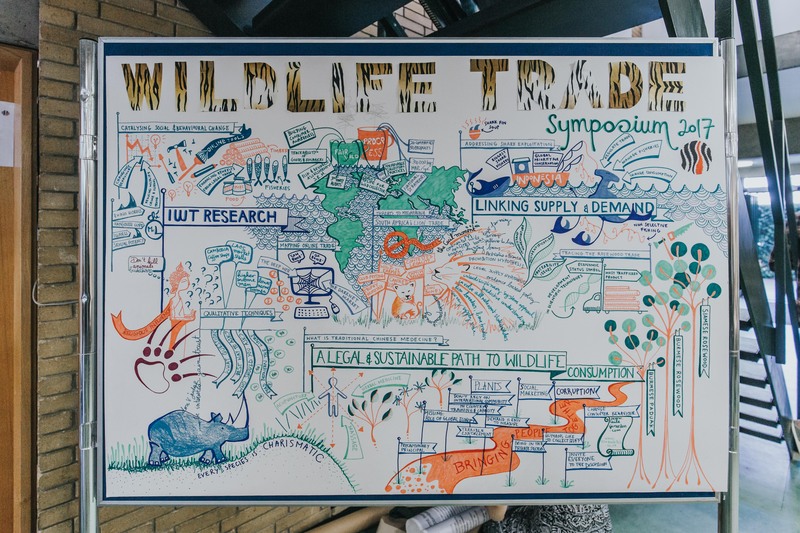 Looking into the future, a number of interventions are required to create a significant change in this business and to have an impact on the number of species and volume of wild-collected material in trade. These include a combination of increased incentives and pathways for businesses, communities and consumers to engage in responsible trade practices. Anastasiya (Nastya) Timoshyna is TRAFFIC’s Programme Leader – Medicinal Plants, and a coordinator of a workstream on sustainable and legal wildlife trade, based in Cambridge, UK. She has ten years of experience of working on issues of wildlife trade, eight of which with specific focus on the implementation of the best practices in sustainability of harvesting and trade in wild-collected plants in the source and consumer countries. She is leading TRAFFIC’s work in this area, including activities engaging companies in the traditional Chinese medicine (TCM) sector in China, projects in Viet Nam, India, and Europe, and relevant policy work, including the CBD’s Global Strategy for Plant Conservation. Anastasiya has experience with standards and certification schemes, in particular around the application of the FairWild Standard (www.fairwild.org) for harvesting/trade in wild-collected plants. Beyond this, she’s leading on the overall approaches to market transformation in wild plants trade. Anastasiya has background in ecology, environmental policy and corporate environmental management (MPh Environmental Sciences and Policy, MSc International Management and Sustainability). She is a Co-Chair of the IUCN/SSC Medicinal Plant Specialist Group and a member of the Sustainable Use and Livelihoods Specialist Group. Traditional Chinese Medicine (TCM) is an ancient and profound healing art that originated more than 3,000 years ago. It comprises a number of therapeutic practices, among them Chinese acupuncture, herbology, nutrition, Taiji Quan and Qigong. All have long proven efficacy in treating a wide range of disease conditions. At the core of TCM is an understanding that the body, mind and human spirit are integrally connected, and that restoring and maintaining energetic balance are essential to health and well-being. What the Chinese people discovered through practical experience over many centuries is increasing being validated by modern science and medicine. Acupuncture and TCM has been practiced side-by-side with western medicine in China since 1960s. In US, many large hospitals have Chinese acupuncture to treat pain and various medical conditions. According to the World Federation of Chinese Medicine Societies (WFCMS), TCM doctors and practitioners provide medical services to their people in over eighty countries. China’s relationship with medicinal animals and plants spans at least 2,000 years. In ancient times, TCM healers lived in local villages and treated local people with medicinal animals and plants with little to no challenges. However, today, our world has an ever-growing human population with the biggest demand for natural resources yet. Among users of Chinese herbal medicine (the largest component of TCM), there are two major groups of users. The first being patients receiving prescriptions from TCM doctors with medical diagnosis; and the other being consumers purchasing products for traditional food therapies as “nutrition” and/or as gifts from legal and illegal markets without medical advise from TCM doctors. To address the illegal wildlife trade, we need to understand the differences between the two consumer groups and to work together with the TCM medical profession in developing effective strategies to intervene and change consumers’ behaviour. Lixin Huang is Vice President for China Projects and Executive Director of American College of Traditional Chinese Medicine (ACTCM) at California Institute of Integral Studies (CIIS), San Francisco. CIIS is an accredited university that embodies spirit, intellect, and wisdom in service to individuals, community, and the Earth. Since 1997, Ms. Huang has worked actively with Chinese medicine community and wildlife conservation community, building bridges to save endangered species, promote healthy people and a healthy planet. She is a member of National Council of World Wide Fund (WWF) US, Wildlife Trafficking Advisory Committee of US Fish and Wildlife Department, Vice Chair of Education Committee of World Federation of Chinese Medicine Society (WFCMS), and a commissioner of Accreditation Commission of Acupuncture and Oriental Medicine (ACAOM). Ms. Huang has spoken nationally and internationally, on topics including: sustainable use of Chinese herbal medicine with issues and challenges in trade, safety and endangered species (China), traditional Chinese medicine and harmony of the planet (TEDxWWF Conference, Singapore), promotion of integrating acupuncture with western medicine through research (US), and non-government controlled AOM education system in US through accreditation and certification (Australia). At a previous CITES meeting, she advocated that TCM, as a medical profession as a whole, should eliminate the use of all tiger parts. The International IWT conferences were held in London (2014), Kasane (2015), and Hanoi (2016), and the next is planned for London in 2018. These conferences have driven IWT up the international agenda and catalyzed global action on the issue. The London 2018 meeting will ensure that this urgent global issue stays at the top of the political agenda and that the UK government continue to lead the world in tackling IWT. This will be a brief introduction into the objectives and plans for the London 2018 conference and will open the floor to questions and comments. Poster session for all those working on the conservation of traded wildlife to showcase and share their research and initiatives. This will coincide with an evening drinks reception.